An unusual birthday gift. 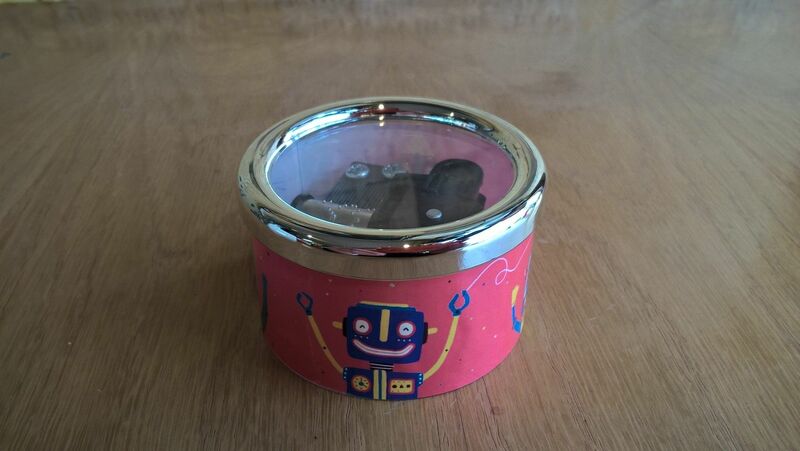 This musical paperweight / music box is decorated with robot pictures around the outside. There is a clear perspex cover fitted over the top of the 18 note musical movement. The musical movement is wound by key from the underneath. The top is surrounded by a silver coloured edging strip. These make ideal gifts for young and old alike. 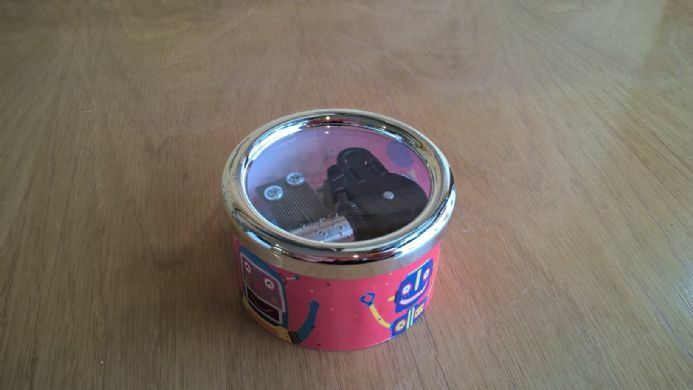 The music box is fitted with the tune 'Happy Birthday'.